You’ve finished putting on your makeup, but you look in the mirror and realize that something’s not quite right. If you’ve ever worn makeup or dressed up in face paint for Halloween, you’ll know that makeup looks different in different lighting conditions—sometimes with wacky effects! In this experiment, you’ll determine what kind of light bulb makes makeup look “right”—in other words, what light bulb is most similar to sunlight? What light bulb provides light that’s most similar to sunlight? Take out a sheet of white paper. This is your makeup palette. Make a streak of each of the different kinds of makeup on the white paper. Take a close look at your streaks under natural sunlight. What colors are they? Make a note of this in your notebook. Go to a completely dark room. You’ll try out each of the light bulbs in turn. Set up a lamp on a table and place the warm light bulb into the lamp. Turn on the lamp and observe the makeup streaks. Do they look different? Note any differences in your notebook. Now put in the cool light bulb. Turn on the lamp and observe the makeup streaks. Do they look different? Note any differences in your notebook. Finally, put in the full spectrum bulb. Turn on the lamp and observe the makeup streaks. How do they look now? What light bulb made the colors look similar to sunlight? Which one made them look different? The light from the full spectrum bulb is most similar to sunlight and is the best lighting for makeup. Colors appear to change under different light sources because not all light bulbs emit light like the sun’s light. The Color Rendering Index (CRI) is a way to show a light bulb’s ability to show color in objects, and bulbs that score 90 to 100 on the CRI are best at showing colors in the same way that sunlight would. Lights also have different color temperatures. Lights that have color temperatures of 5000 Kelvin (K) or more are similar to sunlight. Cool bulbs have color temperatures of just over 4000 K. Lights that are considered “warm” light have low color temperatures around 3000 K. A candle flame produces a very “warm” light that’s just under 2000 K. Warmer temperatures create tones that are yellow and red, while higher color temperatures show tones that are blue. Here are a couple examples: When you’re sitting by a wood fire, the fire shows warm colors like red and yellow. Now, think about the last time you saw a flame on the stovetop. Part of the flame was probably blue! If you had a fire that was as hot as the sun, it would glow white-hot and would radiate all of the colors of the light spectrum (including light that we can’t even see, like ultraviolet light). Thankfully, we don’t need to bring the sun inside, because a full spectrum light bulb mimics this property of the sun without producing such intense heat. 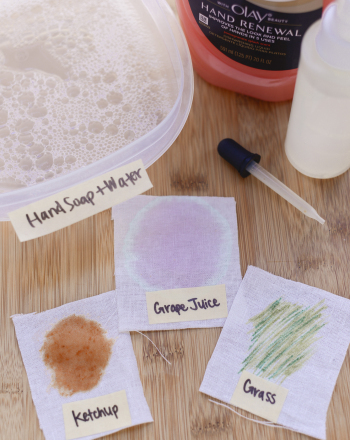 Now try extending your experiment to test other objects. What does white look like in the different color temperatures? What does black look like? Design some different stage makeup looks in this drawing worksheet that boosts performing arts learning. Young readers will practice using an cookbook index to locate information about tasty desserts. What Shampoos Do the Best Job of Keeping the Color in Dyed Hair? 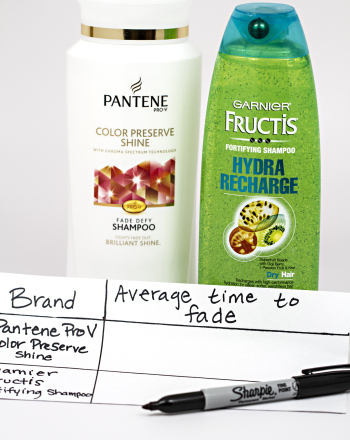 The objective of this science fair project idea is to explore which brands of "anti-fade" shampoos work the best to keep hair color looking fresh. Help your young writers share their opinion of the best place to vacation while using this handy paragraph organizer. 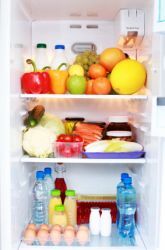 Discover which method for odor removal words the best for stifling refrigerator odors. Students will use process of elimination to help them choose a best guess to answer a tricky problem.